In this thought-provoking masterpiece, H.G. Wells predicts the inventions that will inadvertently lead to mass destruction, forcing the world to "start over." You will see many similarities between H.G. 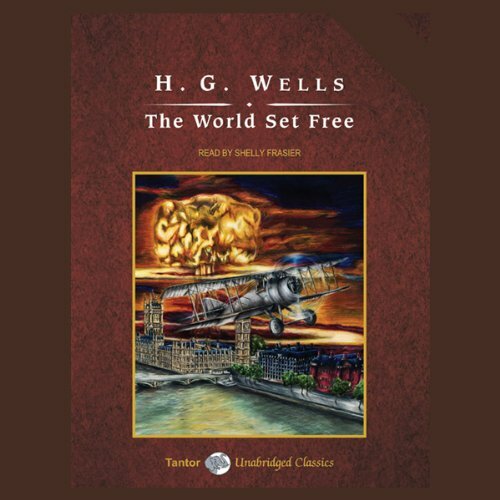 Wells' new world and today's world due to the recent technological revolution. This stimulating novel will leave you wondering if and when the remaining predictions will come to pass! Contrary to the book's assertions, a united world cannot be derived from atomic war, and there are and there never will be large-scale classless societies. Still, Wells was apparently a driving force behind what would be the League of Nations. Great prose. Great narration. Well worth my time.